Microbial contamination can occur during the manufacturing processes. Take extra care to keep facilities and equipment clean and by separating wet and dry areas of the facility. Control the direct drying process carefully to avoid heat damage or use the indirect drying process instead. Indirect drying process is slower but overdrying and heat damage is less common. Also indirect drying produces less of a bad odor. Fishmeal is a high-quality and nutrient-rich feed ingredient used in the diets of farm animals and as an organic fertilizer. Fishmeal is manufactured from whole fish that is unfit for human consumption and waste products from processed fish. 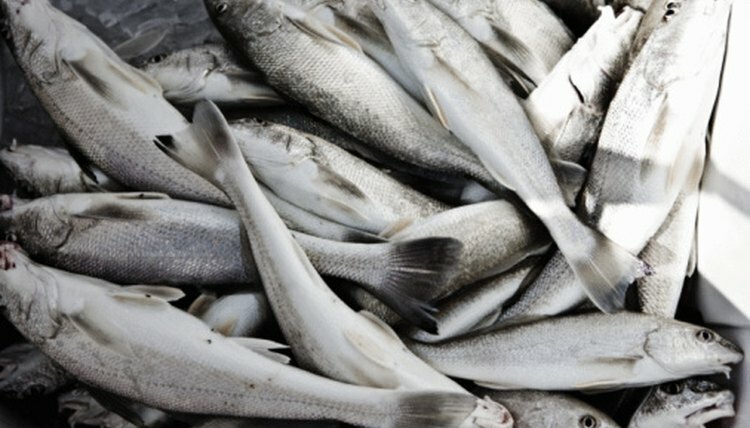 Common fish species used for fishmeal are anchovies, herrings, menhaden and sardines. The manufacturing process consists of cooking, pressing, drying and grinding processes during which the oil and water is removed from the solid parts of the fish. The remaining “meal” has large quantities of energy and is an excellent source of protein, lipids, minerals and vitamins. The top three fishmeal producing countries are Peru, Chile and China. Cook the fish to separate solids from water and oil. Cooking also coagulates the tissue proteins and sterilizes the product. Cooking is a critical stage in preparing the fishmeal and is usually done using a commercial cooker. Remove the oil, water and soluble protein mixture, also known as the “liquor,” from the solids by pressing. This is commonly done in a perforated tube with increasing pressure. During the pressing step, water and oil is squeezed out through the perforations. The solids separated from the liquor are called the “presscake” and make the main ingredient of the fishmeal. Take the liquor and remove oil from it by centrifugation to get a mixture called “stickwater.” This contains about 65 percent of the raw material. Then evaporate the stickwater until it reaches a consistency of a thick syrup. Add the stickwater syrup and the presscake together and dry. The drying process removes excess moisture to allow the fishmeal to be stored and transported without mold or bacterial growth. You can use a direct or indirect dryer. Direct drying involves a cylindrical drum tumbler where hot air of up to 500 degrees Celsius is passed over the material. Indirect drying involves a cylinder with steam heated discs to tumble the material. Grind the dried material to get fishmeal with consistent mass. The fishmeal is now ready to be used or bagged for transportation and storage.